Fantasy Flight Games gives us a look at capital ship movement in this new preview for Star Wars Armada. The Star Destroyers are on their way. 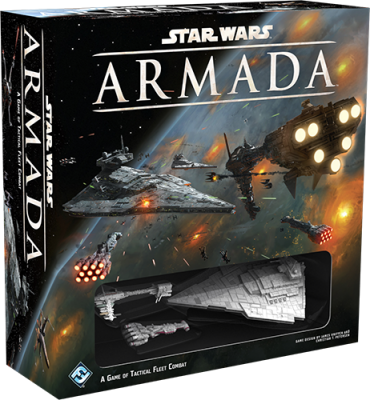 Star Wars™: Armada is coming! Imperial Star Destroyers and TIE squadrons go head to head with Rebel corvettes, frigates, and X-wings in this epic miniatures game of tactical fleet battles. 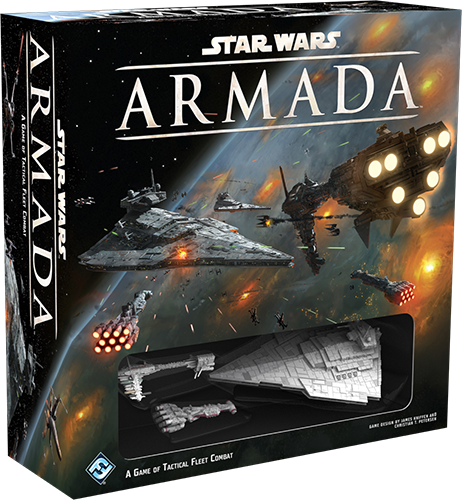 In our first previews, we’ve seen how Armada clearly differentiates its massive and explosive battles from the sort of lethal, fast-paced skirmishes waged between fighter squadrons. We explored the ways that the game’s command stacks add personality to the game’s different ships and force you to plan for the future. Then, we took a closer look at how your capital ships can attack your enemies, and we identified the different defenses they can use against incoming fire. Today, we look at how your ships make use of the game’s unique maneuver tool and how they interact with obstacles. We’ll also address some of the tactical implications that follow.